Door Stops protect your walls. 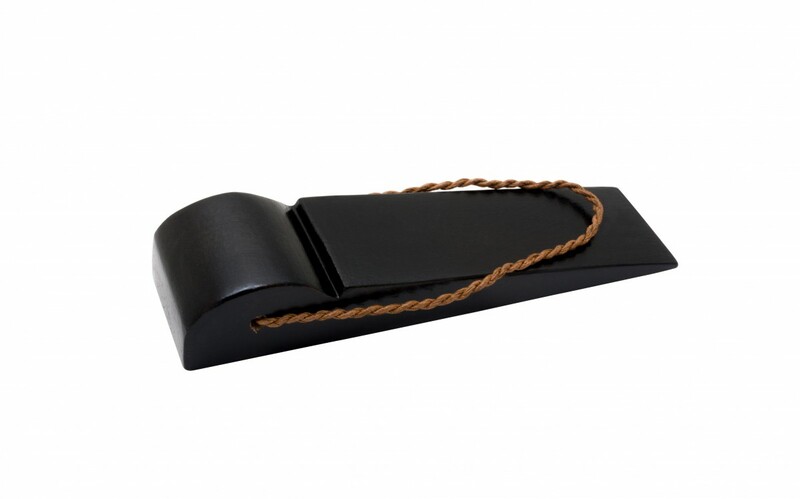 Buy your Door Stops here today. 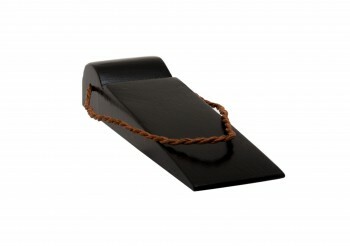 Made of mango tree hardwood these elegant hanging door wedges conveniently hang from the door knob when not in use. 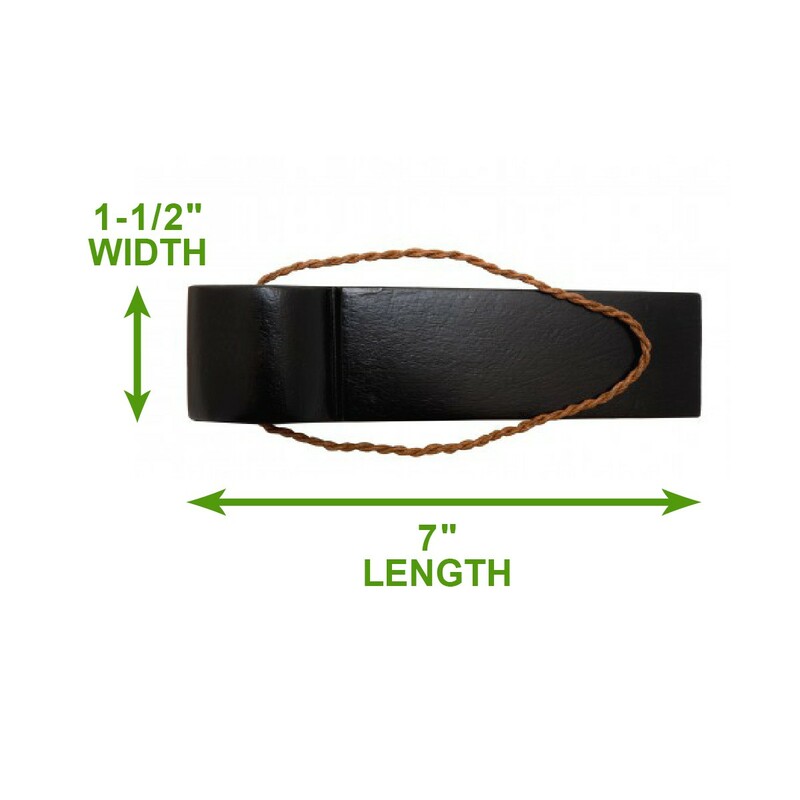 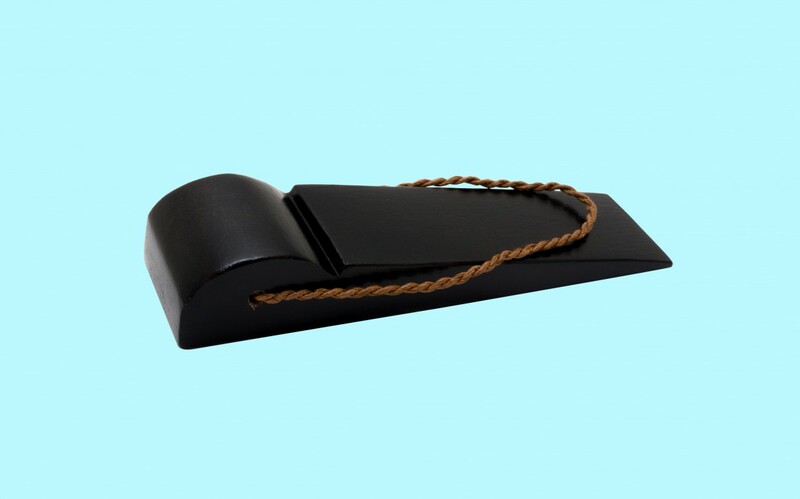 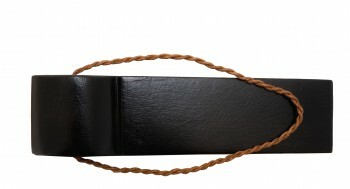 Stop loosing your door wedge, hang it up by its beautiful leather rope. 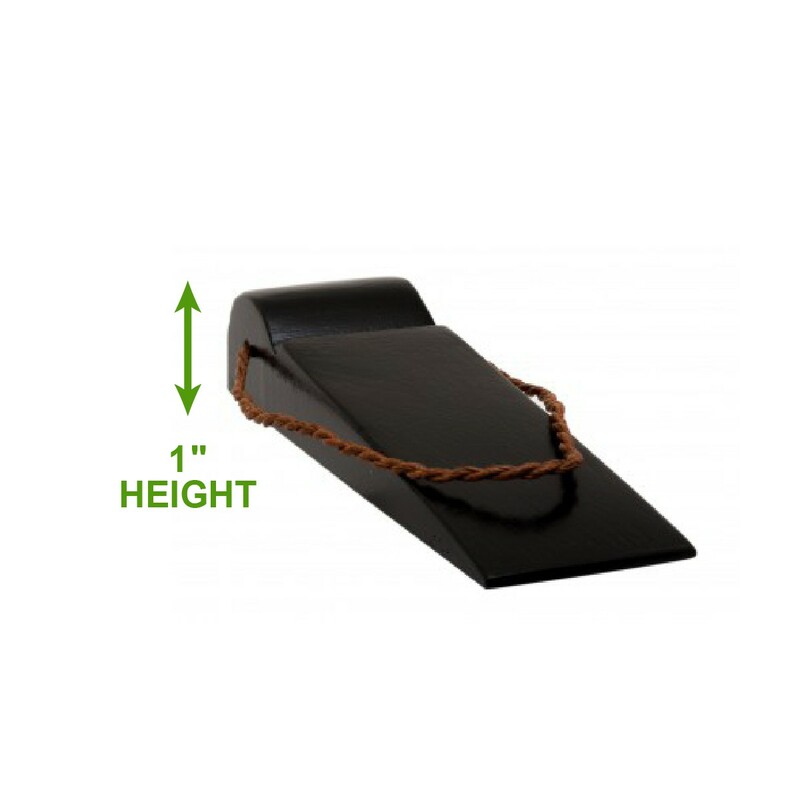 A perfect alternative from those cheap industrial rubber wedges, these wedges are designed for homes & businesses with a sense of style & practicality. 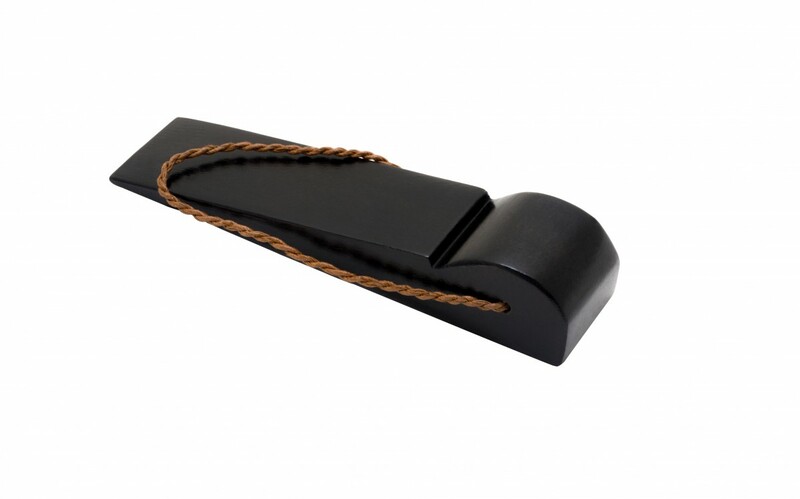 This door wedge features a lovely ornate design. 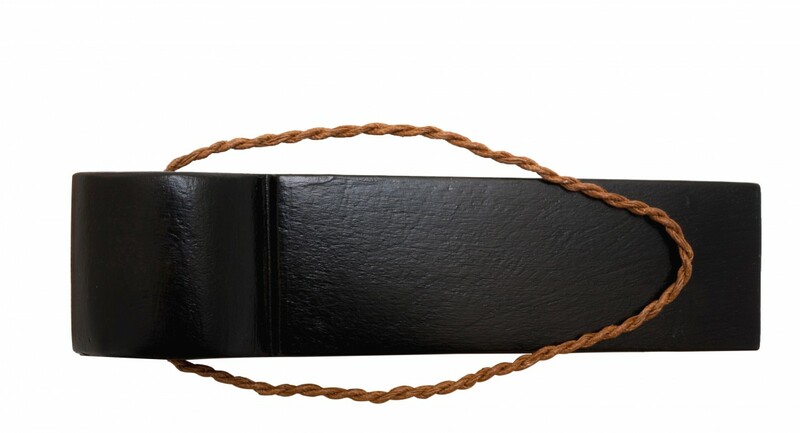 Select from an assortment of stains & finishes.